Zhejiang Suyangzi Packing Technology Co., Ltd.
Q: 2. What is the lead time9 A: Sample needs 3-5days prepared; mass production time needs 25 days normally. Q: 4. Do you have any data uploading services9 A: Yes, we provide data drawings and make the new design according to your need. Q: 7. Do you offer guarantee for the products9 A: Yes, we offer one year guarantee for the products. Guangzhou Bomei Plastic Co., Ltd.
Shijiazhuang Mitong Trade Co., Ltd.
Also we can offer silk-screen printing and hot-stamping for empty cosmetic bottle . 3. Any color can be sprayed according to your pantone code or sample. We can offer clients different processing effect, inside and outerside color coating, UV metalized coating and frost, we can make different color according to client's request. Hangzhou Qiyue Commodity Co., Ltd.
&bull; Mould, shape, color, capacity and other parameters of airless pump bottle can be customized to your request. &#9670;Innovate syringer shape design, offer you more convenient in use and refill. So we decide to take part in the next year show and looking forward to seeing you. is one of the leading manufacturers of face cream jar and cosmetic packaging products in China. Presently, we are looking forward to even greater cooperation with overseas customers based on mutual benefits. 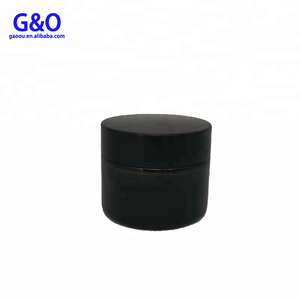 Mould, shape, color, capacity and other parameters of face cream jar can be customized to your request. 4.If any defective bottles, how do you settle it for us9 We can replace for you as new bottles. For surface handling products the delivery time is 8-10 working days after receive your payment. For large order we can arrange shipment by sea or by air according to your needs. 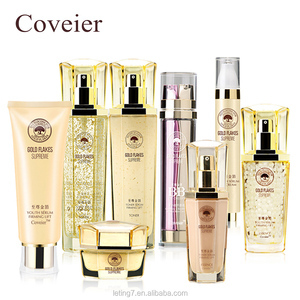 Alibaba.com offers 66,500 eye care cosmetics products. About 22% of these are bottles, 10% are packaging boxes, and 8% are cosmetic jars. A wide variety of eye care cosmetics options are available to you, such as bag, lipstick, and eye shadow. You can also choose from pu, plastic. As well as from stick, powder, and liquid. And whether eye care cosmetics is mineral, herbal, or chemical. There are 66,372 eye care cosmetics suppliers, mainly located in Asia. The top supplying countries are China (Mainland), Hong Kong, and Taiwan, which supply 97%, 1%, and 1% of eye care cosmetics respectively. Eye care cosmetics products are most popular in North America, Western Europe, and South America. You can ensure product safety by selecting from certified suppliers, including 12,076 with ISO9001, 6,974 with Other, and 2,406 with GMP certification.